Clare, who had a family history of the disease, was diagnosed with asthma in her teens. Her mom was making a phone call as she had the first attack, and not wanting to disturb her, Clare — who could barely breathe by this stage — was silently trying to catch her attention. The bronchodilator her doctor offered when they finally made it to there worked wonders almost instantly, but her symptoms got worse and a whole host of medications became part of her life from then on. She was surprised when her family doctor offered her an annual flu shot at the beginning of the flu season the year she was diagnosed. Sure, her grandparents got them, but wasn't that for old or really sick people? With her maintenance and quick-relief inhalers, Clare's asthma was well controlled, and she didn't feel particularly impaired. For most healthy adults, the flu is nothing but a temporary nuisance from which they'll recover within a few weeks, and when you keep in mind that some people throw the term "flu" around to describe nearly any random and undiagnosed bug that leaves them feeling under the weather, many people gain the false impression that influenza isn't really anything serious. They'd be wrong, especially when it comes to vulnerable groups. Yes, those include young babies, pregnant women, the elderly, and people with cancer or HIV — but they include people with asthma, too. If you, too, are new to asthma and wondering why'd you'd need an annual flu shot, read on. All in all, it is not surprising that research shows that between 10 and 20 percent of people who need to be hospitalized with the flu suffer from asthma. To sum it up, the flu isn't something you want if you have asthma — and being vaccinated is the single most effective step you can take to help prevent this potentially deadly illness. That leaves only one question, or really one question with two parts, then. Is the flu shot safe for people with asthma, and is it effective? Flu vaccines absolutely seem to be beneficial for people with asthma, in other words. Which one should you get, though? 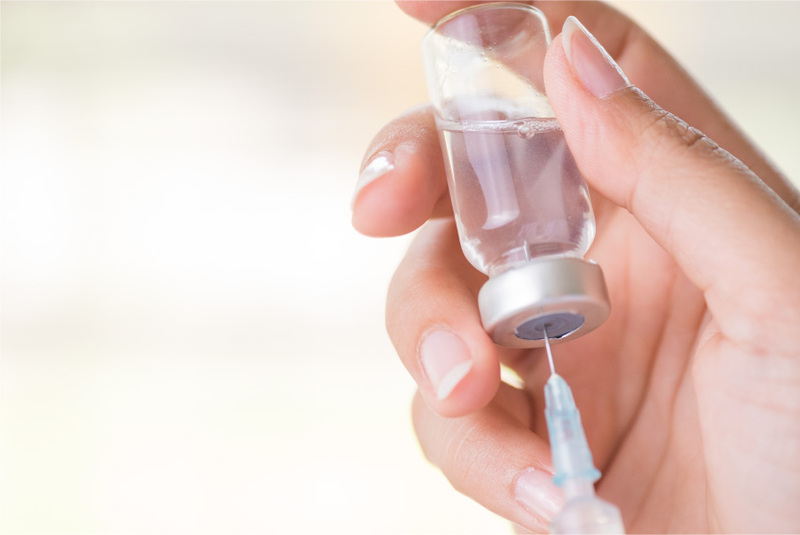 The CDC points out that flu shots (the injectable vaccines) are available to anyone aged six months or older, including people with chronic conditions such as asthma. The nasal spray flu vaccine is generally approved for people between the ages of two and 49, but the CDC says that this nasal mist may trigger asthma attacks in some patients. The nasal spray contains live but weakened viruses, however, and one study found it to be more effective than flu shots, which are inactivated, in asthma patients. This is something you should discuss with your treating doctor. In addition to a flu vaccine, it is also important for people with asthma to make sure they are up to date on pneumococcal vaccines that protect against pneumonia, meningitis, and several other conditions. This further reduces your risk of suffering from a complication if you do get the flu. The most common flu symptoms are fever (not everyone will get it), cough, a runny or stuffed nose, a sore throat, headaches, severe fatigue, chills, and (muscle) aches pretty much all over the body. Vomiting and diarrhea are possible, but more common in children than other groups. Unlike the common cold, which develops more gradually, the flu generally hits you in the face unexpectedly. It is important to be able to recognize the symptoms quickly and to seek medical help right away, because antiviral medications are available in the fight against the flu. They make your symptoms milder and shorten their duration, as well as reducing your risk of suffering complications. The catch is that antivirals are more effective if you take them within 48 hours of the appearance of your first symptoms. What is the most common serious reaction to the vaccine?